One of three security guards has been shot and wounded in a car chase and shootout with about five suspects in the east of Johannesburg earlier today.Bedfordview police spokesperson Sergeant Mduduzi Nhlabathi said the security guards were travelling from Diamond Centre in Johannesburg when they were accosted by unknown suspects driving a white BMW. The suspects then opened fire on the guards’.He added the shooting started in Kensington at the intersection of Queen Street and Langerman Drive.“The suspects then fired shots at the securities’ vehicle. While the car was being shot at, the driver continued driving until the car crashed into another. The suspects fled the scene,” added Nhlabathi. He said there was nothing stolen from the security guards. However, one of the guards was shot in the leg. Nhlabathi added the exact motive for the shooting remains unknown. A case of attempted murder is being investigated. store in the Empangeni area, KwaZulu-Natal, in July. Provincial police spokesperson Major Thulani Zwane said it is alleged the guard was responding to an alarm complaint. On arrival at the store, he met the suspects who opened fire, wounding him in the head. He was taken to hospital in a critical condition. The suspects fled the scene on foot with an undisclosed amount of cash and a video camera. 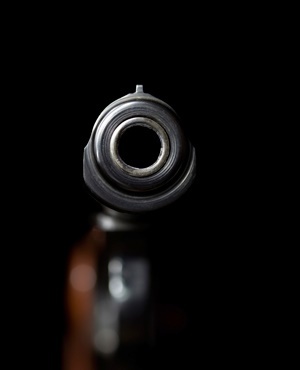 A case of armed robbery and attempted murder was opened at Empangeni police station.